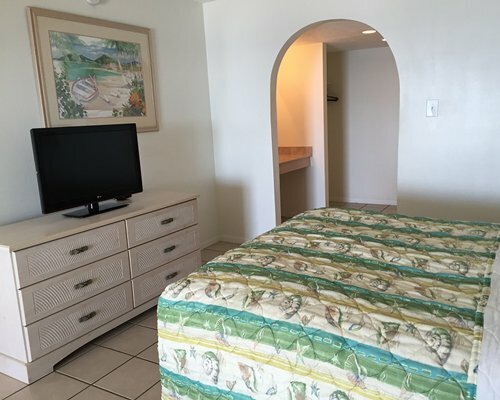 If you want to go on a great beach vacation, what can be better than walking 40 feet from your unit to a beautiful, sugar white sandy beach and the emerald green waters of the Gulf of Mexico? The pier is just a three-minute walk along the beach. 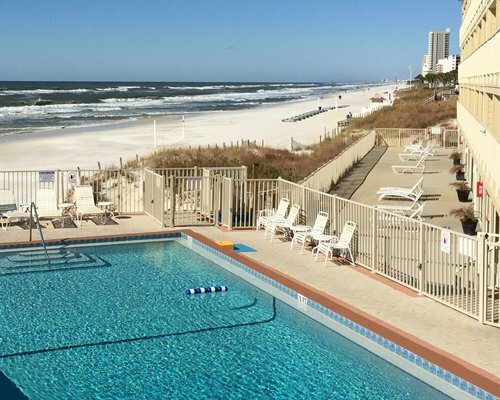 The Gulf provides opportunities for a vast array of vacation activities, like scuba diving and deep sea fishing. Tennis is available 1.5 miles from the resort and golfers only have to travel four miles before they can tee off. 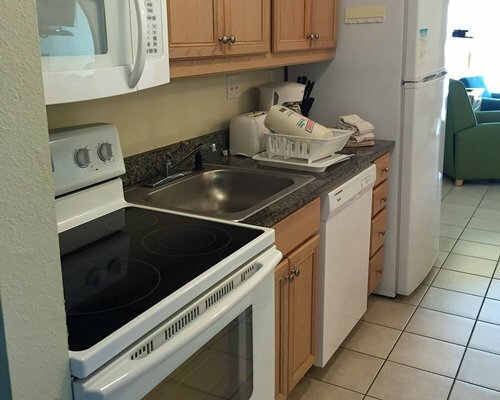 The studios and one-bedroom units each can accommodate up to four people. 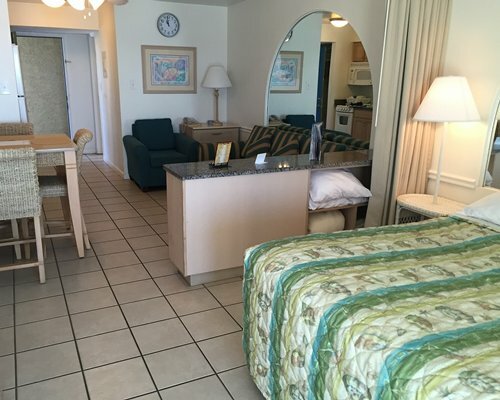 The units are clean and well cared for and the friendly staff seems to take pleasure in providing for guests' needs. 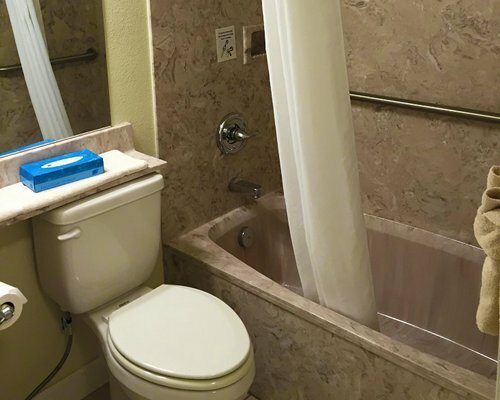 Most of the units have private balconies and guests can enjoy an outdoor, heated pool, hot tub, gas grills and picnic areas while staying here. 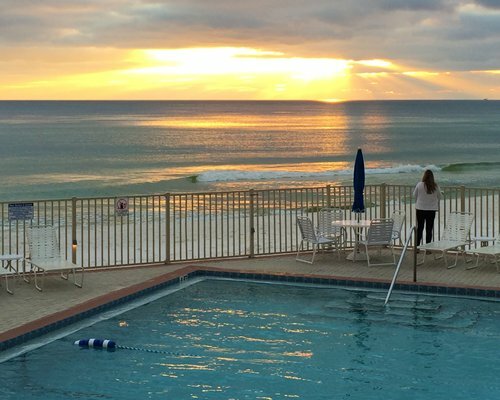 Some units face the Gulf of Mexico and not much can rival the beauty of the golden sun setting on the Gulf. 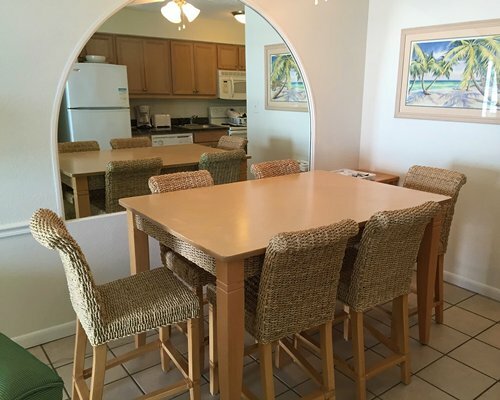 If you like spending quality time with your family on a relaxing, rejuvenating vacation, this is the place to be. 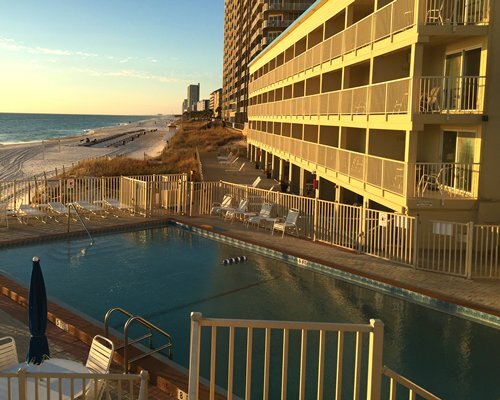 There are many attractions for fun and thrill-seeking in the Panama City Beach area. The Econfina Creek Canoe Livery offers day and overnight canoe and kayak trips through the Panhandle's majestic Econfina Creek. It's about a half-hour drive from Panama City. Any family member who saw the movie 'Pirates of the Caribbean'will enjoy the adventure of a pirate cruise that sails close to the shores of Shell Island. Zoo World is another top attraction for animal lovers who want to see animals up close in a tropical setting. 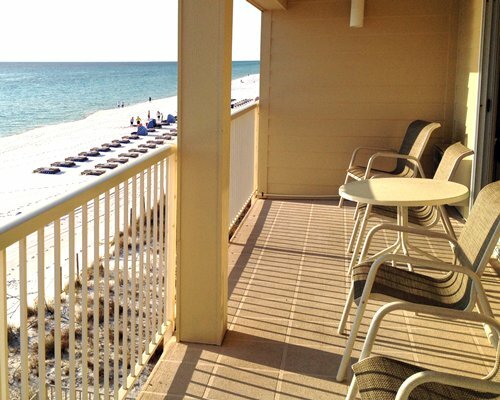 Rosemary Beach is a great place for boutique shopping. 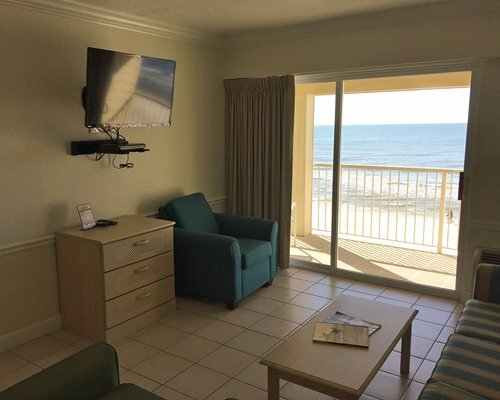 The nearest aiport is Northwest Florida Beaches International Airport, 13.5 miles away (22 minutes). From the airport go 2 miles and turn right onto West Highway 388 for 5.3 miles. Turn left onto State Route Highway 79 South for 5.8 miles. Turn left on US-98 Alt/Front Beach Road for .5 mile Arrive at 16709 Front Beach Road Panama City Resort & Club. 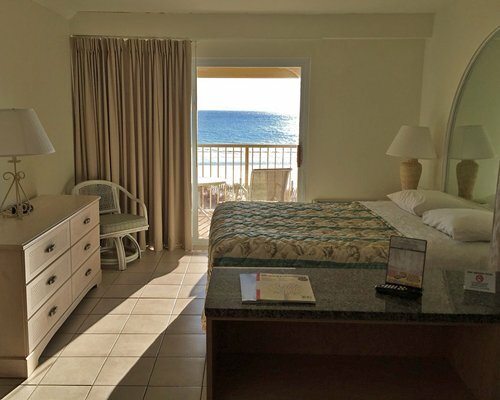 "Housekeeping fee for all RCI points reservations: There may be a fee of 49.00 U.S. dollars for all units, per stay. Cash or Credit is accepted." "Hot tub/Pool will be closed from April 5, 2019 to April 30, 2019."